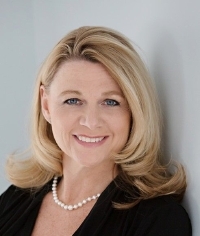 Director of Tourism, Orange County New York; Executive Director, Orange County Film Office Amanda has over 25 years sales and marketing experience in the Hudson Valley region with 18 years in executive recruiting/talent management and 10 years focused on real estate and economic development. During that time, she has grown and cultivated many working relationships with individuals and organizations and has amerced herself with being tremendously involved with her community. Because of her strong alliances, she has developed a very successful skill set of connecting people and organizations with valuable resources. Amanda joined the team of the highly recognized Orange County Partnership in 2013, heading up their Business Retention & Expansion division. In this role, she is responsible for fostering the growth of Orange County companies. Prior to joining the Partnership team, Amanda ran a successful real estate practice in Orange County, New York.